3. The Defendant TEC, also known as The Protestant Episcopal Church in the United States of America and Defendant The Episcopal Church in South Carolina and their officers, agents, servants, employees, members, attorneys and any person in concert with or under their direction or control are permanently enjoined from using, assuming, or adopting in any way, directly or indirectly the names, styles, emblems or marks of the Plaintiff as hereinafter set out, or any names, styles, emblems or marks that may be reasonably perceived to be those names, styles emblems or marks . . .
Decision is here. StandFirm is posting updates here. The Episcopal Church has no legitimate claims to their property, names and symbols. ST. GEORGE, SC, Feb. 3, 2015 – In a 46 page opinion, South Carolina Circuit Court Judge Diane S. Goodstein, ruled that The Diocese of South Carolina, The Trustees of the Diocese and 36 parish churches successfully withdrew from The Episcopal Church in 2012 taking with them all their property, including churches, symbols and other assets. The ruling is the result of a three-week trial last summer in which over 50 witnesses testified. “This has never been about exclusion,” said Bishop Lawrence. “Our churches, our diocese are open to all. It’s about the freedom to practice and proclaim faith in Jesus Christ as it has been handed down to us. We’re ready to move forward and grateful for Judge Goodstein’s handling of the case. Today's decision also comes close on the heels of an earlier ruling by the South Carolina Court of Appeals awarding the Diocese $1,000 for legal expenses incurred by TEC's frivolous appeals. TEC has a history of using appeals and other legal action to delay cases and drain the resources of parishes and dioceses that disassociate from the denomination. The Diocese was founded in 1785 by the parishes of the former South Carolina colony. Based in the Lowcountry of South Carolina, the Diocese is one of the oldest religious districts in the United States and counts among its members several of the oldest, operating churches in the nation. 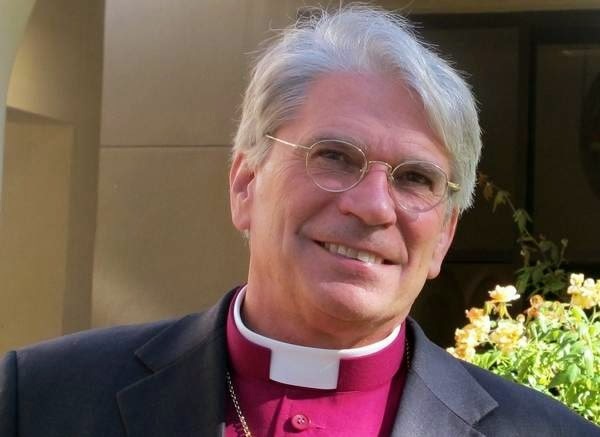 The Diocese of South Carolina is recognized by Anglican Dioceses and Provinces around the world, many of whom have broken fellowship with The Episcopal Church, and in 2013 the Diocese joined the global Fellowship of Confessing Anglicans and entered into a formal relationship of Provisional Primatial Oversight with Global South primates. No problem. There are still both state appeals and federal courts to keep this lawyer's gravy train going for several more years.